Latest News at 6 PM around the world A well-acted drama in which all levels of Iranian society teeter on the edge of legality. A well-acted drama in which all levels of Iranian society teeter on the edge of legality. Obsession grips a forensics doctor convinced he may have caused a child’s death in “No Date, No Signature,” a handsomely made, exceptionally well-played drama that largely works despite a few significant plot holes. 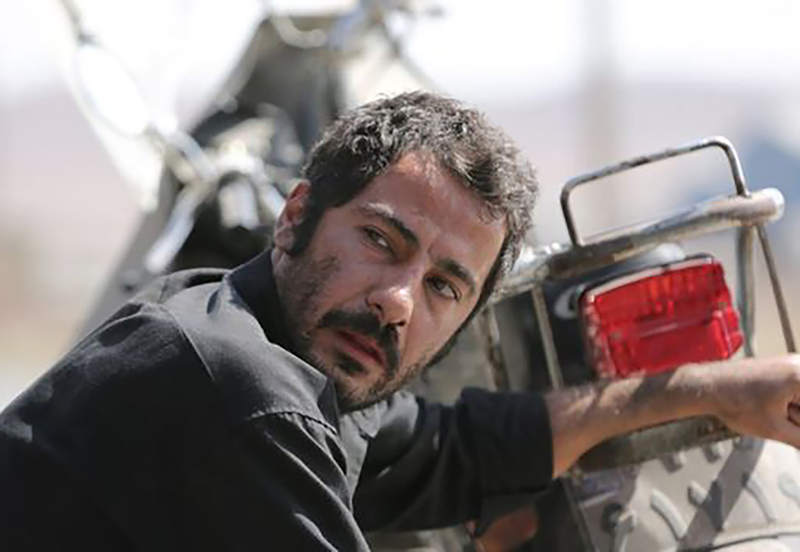 More tightly constructed than director Vahid Jalilvand’s involving though schematic debut “Wednesday, May 9,” the film explores questions of culpability and responsibility in a society constantly playing on the edge of the rule of law. A no-holds-barred performance by Navid Mohammadzadeh (“Nahid”), recognized by the Fajr jury with their supporting actor prize, gives “No Date” its emotional core, even though the main character’s motivations remain murky. Festivals will be lured by the Venice slot combined with Jalilvand’s Fajr win for best director. A few days later, Nariman hears Amir Ali’s name among the new arrivals at the morgue where he works. His colleague Dr. Sayeh Behbahani (Hediyeh Tehrani, “Fireworks Wednesday”) does the autopsy and discovers the boy had botulism, which she believes is the cause of death. When she tells the parents, Moosa and Leila realize the poison must have come from cheap chicken meat he innocently bought under the table from a poultry processing plant. The guilt makes him lose control, and in the film’s best scene, he goes to the chicken factory to angrily confront the guy who sold him the old carcasses. Meanwhile, Nariman is struggling with his own guilt, convinced that while botulism may ultimately have caused the boy to die, the immediate reason was a broken neck from the accident. Sayeh has no doubts it was the tainted chicken, but Nariman becomes more and more determined to expose his potential culpability. For what reason is never clear, leaving a major hole in the character’s rationale: Why is he hellbent to prove his guilt and ruin his life, when the child would have died from botulism anyway? What are the causes of this increasingly masochistic rush to claim responsibility for a tragedy he’s unlikely to have triggered? Another uncertainty is the nature of Nariman’s relationship with Sayeh. They appear to be more than colleagues, but is it a failed relationship from the past, or an ongoing partnership? The plot isn’t served by keeping this ambiguous, whereas the sketchy sense of people doing vaguely illegal things, such as when a battered woman consults Nariman on the sly, not to mention the tainted chicken, make complete sense since they give the impression of a frayed society forced into unwanted situations just to get by. Also problematic are the legal proceedings, which don’t fit organically with what comes before. Fortunately, the emotional pull of these characters in crisis remains affectingly present, especially Leila’s anger-infused grief and Moosa’s soul-crushing anguish. All four main actors are in top form, but it’s Mohammadzadeh who steals the show in his scene at the poultry plant, when his desperate monologue takes on an epic, Shakespearean quality as he throws all his physical force into a verbal storm of pained outrage. The film can feel too verbose at times, but here, every word packs a punch. The visual design is consistently stark, with colors drained of warmth to the point that it almost resembles black-and-white, especially in the frequent night scenes. Also not to be ignored is the institutional similarity between the morgue and the chicken factory. Lighting is kept cold and harsh.